Kellogg Fairbank was an honest, upright, somewhat dull lawyer who spent much of his time managing the estate of his late father, Chicago’s lard and soap king. We’re not interested in him. His wife is the one worth remembering. In 1900, at the age of 21, Janet Ayer became Mrs. Kellogg Fairbank. That was the name she preferred to use, and that’s what we will call her here. Like her husband, she came from an old WASP family. While raising three children Mrs. Fairbank took time to do some writing. Writing was one of the few acceptable careers for a woman of her station. She started with a few political articles and some drama criticism for local magazines. In 1910 she published her first novel. The lady did have talent. Her 1925 novel The Smiths was about a couple growing up along with the city of Chicago. It was runner-up that year for the Pulitzer Prize in fiction. Mrs. Fairbank performed all the Social Register duties. She gave money to the arts, she organized benefits, she served as Board President of the Chicago Lying-In Hospital for over twenty years. Her picture was always in the paper for some charitable cause. Somewhere along the line, she became something more than a wealthy airhead. Mrs. Fairbank became a political player. In most states, voting was still limited to men. Mrs. Fairbank never accepted that. She was a champion of women’s rights, an ardent campaigner for the suffrage movement. And she knew how to get publicity without being “unladylike.” Once she advertised the cause by riding a white charger down Michigan Avenue. Her social connections gave her entree to politics at the highest level. Mrs. Fairbank didn’t stick with one party. Over the years she jumped all over the political map. In 1912 she was active in Theodore Roosevelt’s Progressive Party campaign for president. Later she became a Democrat and served a term as National Committeewoman from Illinois. By 1940 she was a Republican, national vice-chair of the isolationist America First Committee. She knew her way around Chicago politics, too. In 1923 Mrs. Fairbank put together a non-partisan committee of reformers for the coming mayoral election. When the Democrats nominated Judge William E. Dever, the reformers threw their support behind him, and he was elected. That gave Mrs. Fairbank the reputation of a political kingmaker. 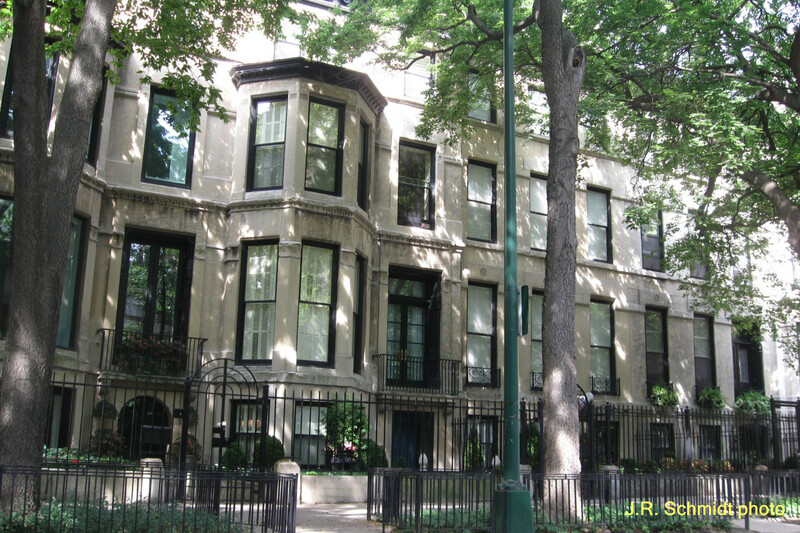 Throughout it all, Mrs. Fairbank and her husband remained pillars of Chicago society. Each New Year’s Day they gave a reception at their home at 1244 North State Street. An invitation to the Fairbank gala was highly-treasured. From noon to midnight, hundreds of people passed through the doors. The cloistered denizens of the Gold Coast were always there, mingling with writers, opera singers, social activists, and cigar-chewing politicians. At most other places it would have been an unlikely gathering. Here it was just a reflection of the many interests of the hostess. 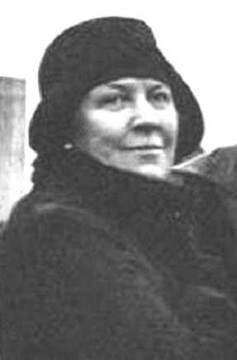 Mrs. Kellogg Fairbank died on December 28, 1951. A few days later, the final reception at 1244 North State Street became her memorial service.